Ecuador’s foreign ministry announced on Friday that the US has seemingly denied visas to a delegation that was set to travel to the UN General Assembly in New York to present their case regarding an ongoing dispute against Chevron-Texaco. 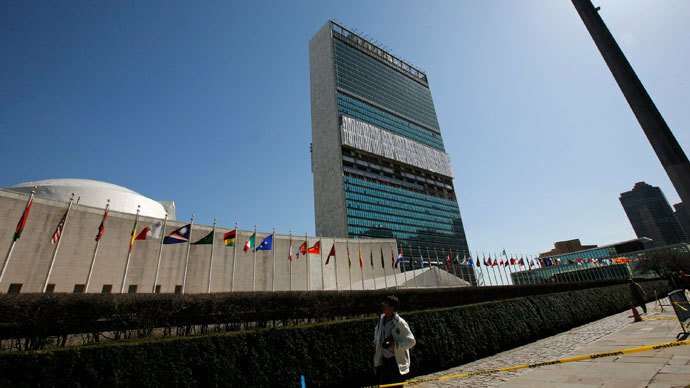 That group was to present testimony during a special event at the UN regarding the ecological impact caused by Chevron-Texaco’s oil operations in the Amazon rainforest region of Ecuador - which contaminated two million hectares, according to the country’s government. At stake is a US$19 billion judgment awarded by an Ecuadorean court against Chevron for cleanup and ecological damage, which is currently being fought at The Hague. Litigation against Chevron-Texaco has been ongoing for two decades, and stems from the oil company’s operations in the Amazon which date back to the period between 1972 and 1990. In February 2011, a judgment by a provincial court in Ecuador produced the multi-billion dollar award against Chevron. However, as the company currently has no holdings in Ecuador, the plaintiffs have instead attempted to force payment in Canada, Brazil, and Argentina. Chevron's legal counsel, Hewitt Pate, said that Tuesday’s ruling "confirms that the fraudulent claims against Chevron should not have been brought in the first place." 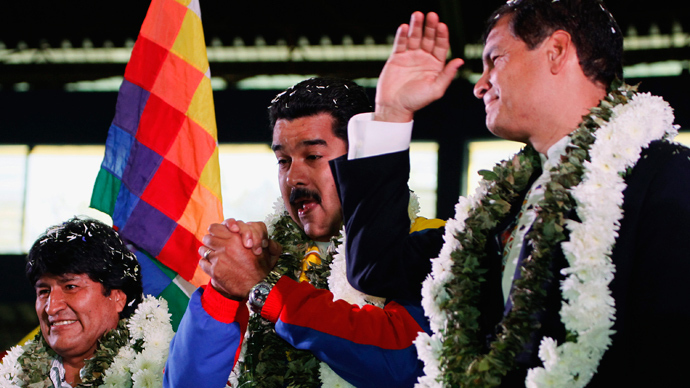 It was the oil company itself which petitioned the Permanent Court of Arbitration at The Hague to intervene in the case, under the authority of the US-Ecuador Bilateral Investment Treaty. In response to Tuesday’s interim ruling, Chris Gowen, an attorney working with Donziger, said that he did not recognize its validity. “The tribunal’s decision illustrates that Chevron can only win when it runs away from legitimate institutions and seeks refuge behind pro-corporate ideologues. This decision was essentially purchased by Chevron from a completely illegitimate ‘court’ with no authority over the case and the facts,” Gowen told Businessweek. 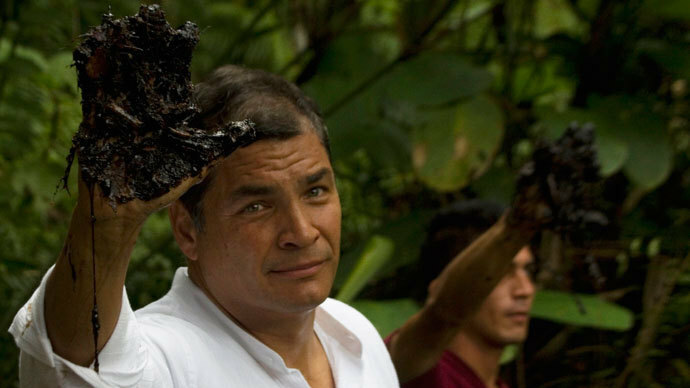 This week, Ecuadorian President Rafael Correa launched a campaign dubbed ‘Chevron’s Dirty Hand’ which seeks a global boycott of Chevron based on its refusal to pay billions in damages. “We will expose to the world Chevron's multimillion dollar campaign to discredit this country. It is a campaign that involves taking away preferential tariffs, boycotting international trade with the United States," said President Correa. Interestingly, at least a portion of the legal wrangling between Ecuador and Chevron was exposed by diplomatic cables published by WikiLeaks, which indicated that the oil company had directly sought help on the matter from the US government. 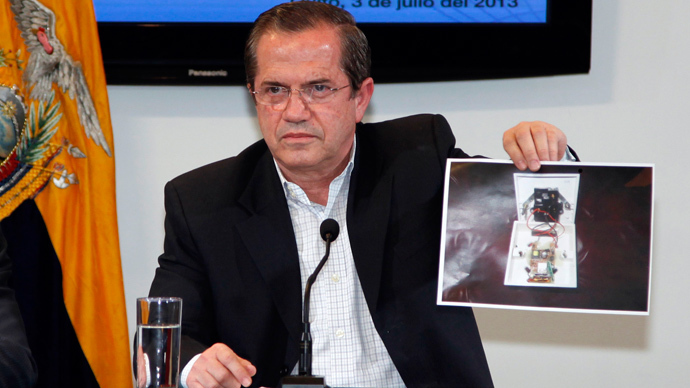 A March 2006 cable produced by US officials in Quito pointed to communication with the oil company on the topic of damages. “In previous meetings, Chevron reps have suggested that the [US government] pressure the [Government of Ecuador] to assume responsibility for the environmental damage in the areas once operated by Chevron. Given the complex legal questions and the questions of fact disputed in the case, it does not seem likely that any available inducements would convince the [government of Ecuador] to assume what may amount to billions of dollars of environmental liability,” the cable states. If enforced, the judgment against Chevron-Texaco would represent one of the world’s largest, only coming in behind BP’s $20 billion fund to compensate victims of the 2010 Gulf of Mexico oil spill.